These colorful Coconut Cheesecake Parfaits are a colorful way to welcome the spring season. 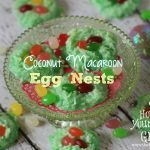 They are a perfect dessert recipe for your Easter menu too! Spring signifies new beginnings. This week, we welcome another season on our family farm by re-opening our farm market. Colorful Easter flowers and bedding plants will greet our customers, just waiting to be sold to brighten someone’s home. Even though it is only March, the guys have been busy in the fields planting lots of Jersey Fresh vegetables that will be ready to harvest soon. Let me tell you a little secret….I can’t wait to sink my teeth into our fresh fruits and vegetables. Speaking of sinking my teeth into something, these Coconut Cheesecake Parfaits are delicious. 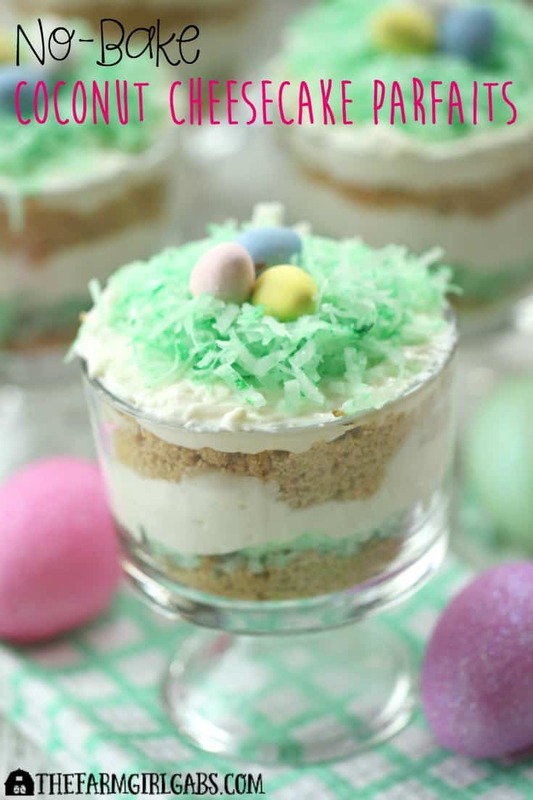 If you are looking for an easy no-bake dessert to serve for your Easter dinner or spring party, these are it! I love no-bake desserts. Take a few simple ingredients and create a delicious dessert in a matter of minutes. No baking skill required. These are what I call fun food. I love using holiday candy to create fun desserts. Since Easter is right around the corner, I used some green food coloring to tint the coconut green. This makes the coconut look like that Easter basket grass that I feel like I always am picking up after the holiday. Fun, right? I also mixed some of the plain coconut with some cream cheese, yogurt and powdered sugar. And of course, it’s not a cheesecake dessert without some graham cracker crumbs. Layer everything and you have the perfect springtime dessert. I used these miniature trifle b owls but you can also easily use a small mason jars to make these as well. As you know, I LOVE mason jar desserts and crafts! I topped each with some of the green coconut “grass”. I added some chocolate Easter egg candy to the center too. Looks like a birds nest. So cute!! What are your favorite spring desserts? I am always looking for new ideas. Leave a comment below. Spring is right around the corner and I think all of us are jumping with joy. Sunshine and warmer weather are a lot to get excited about. These colorful Coconut Cheesecake Parfaits are a colorful way to welcome the season. In a small bowl, mix together graham cracker crumbs, melted butter and sugar. Mix together and set aside. Place 1 1/2 cup of coconut in a medium bowl. Add 3-4 drops of green food coloring and mix with a fork to incorporate. Set aside. Using a hand <g class="gr_ gr_90 gr-alert gr_gramm undefined Punctuation only-del replaceWithoutSep" id="90" data-gr-id="90">mixer, beat cream cheese and yogurt together in a medium bowl. Slowly add powdered sugar to incorporate. Stir in 1/2 cup coconut and coconut extract. Add a layer of graham cracker crumbs to 4 mini trifle bowls. Top with some green coconut and cream cheese filling. Repeat one more time. Garnish top with some green coconut grass and a few chocolate Easter Egg candy. 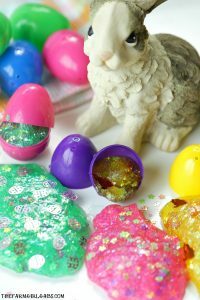 Need a few more Easter Ideas? 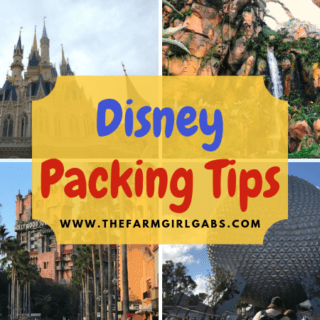 Be sure to check out some of these past posts. OOOh these sound so yummy~ Great treat for Easter.Stopping by to let you know you are being featured on Friday’s P3 Party post! Have a great holiday! Thanks for pinning! 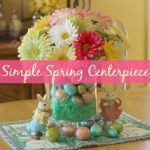 What a perfect Easter recipe!! I would love to make these for my family!